Jeb Dunnuck (95-97 points) "I was able to taste the 2017 Domaine de Chevalier Blanc on three separate occasions and it never failed to impress. It should match, if not exceed, the 2015. Gorgeous notes of lemon curd, mint, citrus, white peach, and salty minerality all emerge from this medium to full-bodied white... its purity is off the charts, it has riveting acidity, and a great, great finish... Don’t miss it!" James Suckling(96-97 points) "This is a dense and beautiful DC with serious density and a fabulous layering of fruit. Phenolics are there but they melt into the wine already. Love the acid/fruit balance. 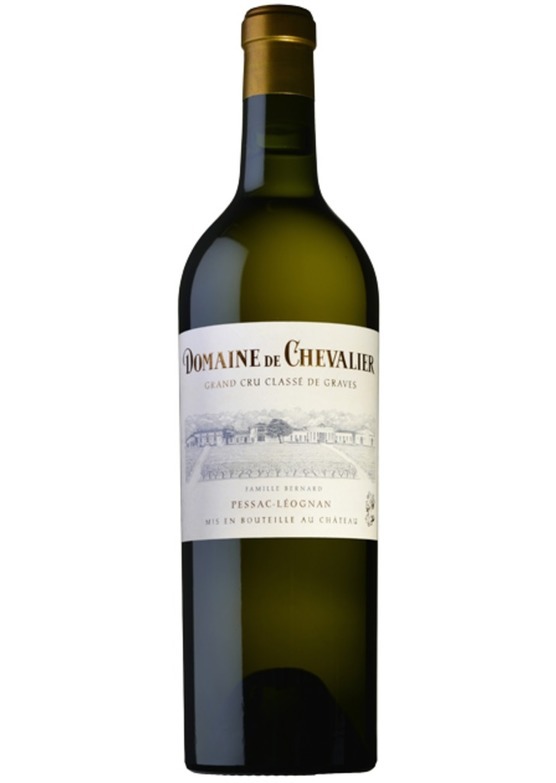 A solid and serious white"
Neal Martin, Vinous.com (93-95 points) "The 2017 Domaine de Chevalier Blanc was picked from 31 August until 15 September via several tries through the vineyard that yielded 46hl/ha, with 13.5° alcohol. It has a very attractive, estuarine influenced bouquet with scents of cockle and oyster shell infusing the vivacious citrus fruit. This opens up very nicely with aeration in the glass. The palate is very well balanced with a fine bead of acidity. It feels quite saline and spicy in the mouth with a rather intense citric finish that is very persistent, the aftertaste again, quite saline."